The first hint that I wasn't getting the best out of the 12 Ohm, 93dB efficient Triode Masters was when I replaced my 80-150-wpc solid-state amps with the amazing 8-wpc Coincident Dynamo 34SE MkII SET amp. I can't officially give the Dynamo an award as I didn't review it, just purchased it based on a friend's raves. Adding the Statement power cord on Coincident honcho Israel Blume's recommendation upped the performance so markedly I bought another cord for the Oppo 205. Which led me to buy one of their interconnects, each cable easily bettering what I had carefully and happily matched to the solid state amp/metal driver speakers in my previous rooms. - Coincident Statement internal wiring. 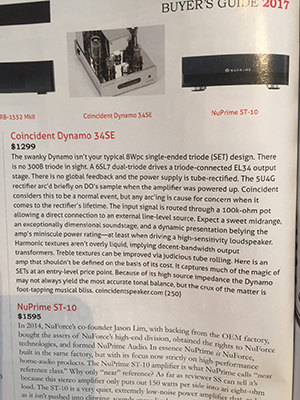 Since my initial review of the Dynamo 34SE in 2015, the amp has undergone several significant revisions. On balance, the Mk. II version of this low-cost SET amp ($1495, 8Wpc) should be thought of as nothing less than a Dynamo on steroids. For starters, it has put on some weight, tipping the scales at 30 pounds, an eight-pound increase from the original, due mostly to the beefed-up power transformer. The chassis has been upsized and properly braced to reduce resonances. The 5U4G rectifier is gone, replaced by a 5AR4, which by virtue of its indirectly heated filament provides for a gentle high-voltage start up. This is a good thing, and I'm happy to report that, unlike my experience with the 5U4G, the 5AR4 worked flawlessly. Power supply filter capacity has been increased by 70% and capacitor voltage ratings have been doubled for increased reliability. you get all this for only a $200 increase in retail price- now that's something worth writing about. The crossovers will be updated and improved with superior components with some parameters being slightly adjusted. The sonic results include: greater sense of transparency and immediacy, more extension and air in the upper frequencies, more harmonic completeness in the mids, greater revelation of low level detail and ambient information, and enhancement of visceral punch and impact in the mid bass and bass and seamless coherency from top to bottom. Although considered by many as the finest speaker available at any price and without question at its selling price, the latest version of the Pure Reference Extreme now advances to a new level of performance. While the cost of the mods are substantial, the price increase will be offered on an introductory basis at only $1000 more per pair - $29, 499 US /pr. L'entreprise canadienne a également le mérite d'avoir une production assez diversifiée entre enceintes et électroniques à tubes. Israel Blume propose ainsi un catalogue de produits qui s'étoffe petit à petit, avec des références qui s'inscrivent par ailleurs dans la durée. C'est le cas de mon préamplificateur personnel (Coincident Statement Line Stage) qui reste chez moi un maillon central depuis de nombreuses années, sans que bon nombre de préamplificateurs passés entre mes mains aient réussi à le remettre en cause, et ce en dépit d'un prix relativement modeste dans le segment du high-end. Israel Blume étant un constructeur très polyvalent, à l'instar d'un Touraj Moghaddam (CEO de Vertere et ex patron de Roksan), il restait à tester ses câbles, et pour éviter de tergiverser ou de supputer sur le potentiel de sa production, je me suis directement concentré sur sa nouvelle référence très haut de gamme : la série Statement ! A gateway product to high-end tube gear. Oh geez, not another Coincident review by Rick Becker? Well, yes, and for good reason in this instance. The original Dynamo 34SE was my go-to amp for the $5000 Entry Level Project back in August of 2014 and I eagerly snapped up the review sample for my personal low power reference and headphone amplifier. My review today of the Coincident Speaker Technology Dynamo 34SE MK II is to find out what improvements have been made. 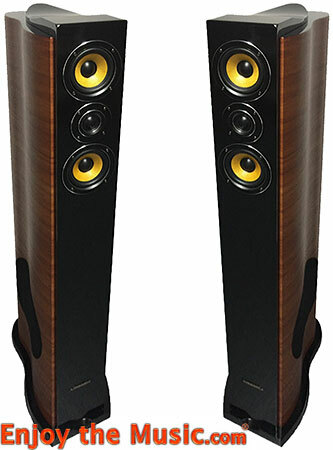 Getting back to the original, it was an outstanding performer with efficient speakers and a very high value at $1299. Here was an opportunity for a direct comparison review between that amp and the new Coincident Speaker Technology Dynamo 34SE MK II. The Coincident Statement linestage delivers performance so far beyond what you'd ever expect from a $5,495 box, all audiophile clichés are rendered irrelevant. Tightly focused in nature, the Statement delivers high performance and is beautifully packaged in polished stainless steel. With two inputs and two outputs each (switchable between RCA and XLR), control flexibility is limited. But seriously, how many of you have more than a DAC/ streamer and a phonostage anyway? If you can get by with this and forgo the flexibility of a remote control, the Statement delivers sheer performance that a lot of $20,000 preamplifiers don't. This two-tube marvel, with a massive 42 pound external power supply, renders a musical picture that is dynamic, tonally gorgeous and quiet. With replacement 101- D tubes only costing $200/pair (a pair of premium, matched 101-Ds more, at $700/pair) and a claimed life of 5,000 - 10,000 hours, this one won't break you when it's time to retube. 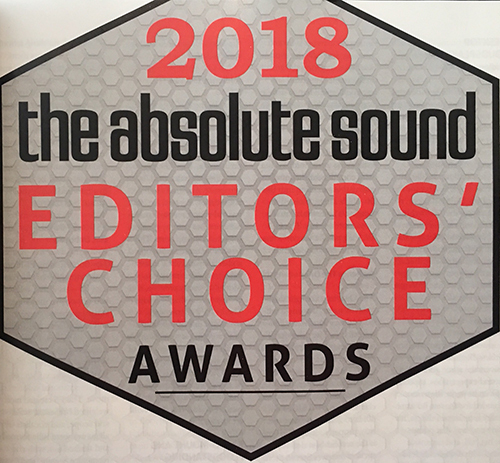 The Statement is as good as it gets and after 12 years of reviews, we'd put it right at the top of what is possible in preamplifiers at any price. 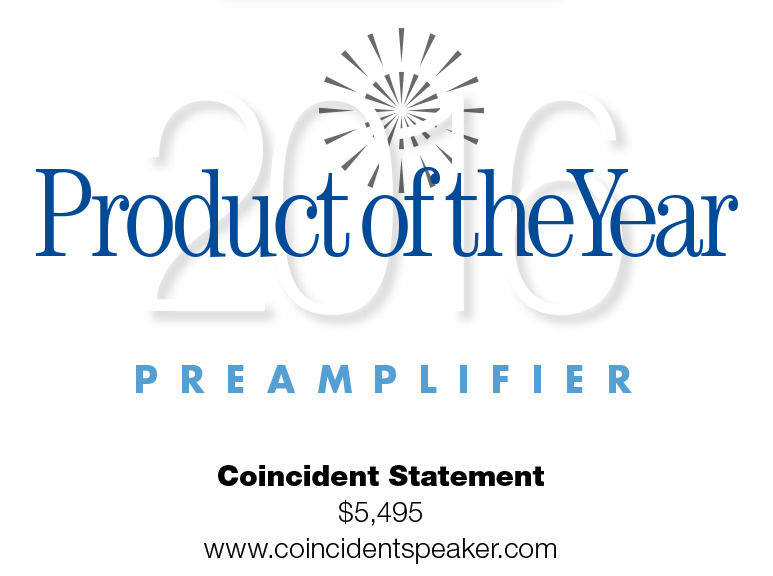 That you can get one straight from Coincident for $5,495 is the high end audio bargain of a lifetime. As the grungy lead guitar riff of the Drive-By Truckers' latest album American Band fills the room, it's clear that the Coincident Statement Linestage is a cut above. Way above what you'd expect from a $5,499 line stage. In some circles, you can't even buy a power cord for five grand, let alone a line stage that holds its own with some of the world's finest by the known brands. 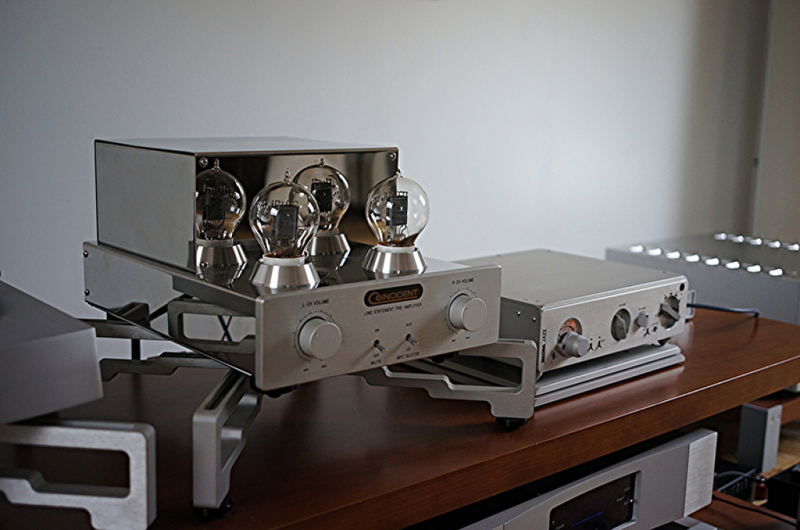 Gorgeously shiny, this two chassis masterpiece from Canada is just as stunning as the Statement Phonostage we reviewed a few years ago. Coincident's founder, Israel Blume, makes it a point to tell me that the chassis is not chrome plated, but high grade stainless steel, highly polished, which has multiple benefits. "The polished stainless is much more labor intensive, and unlike chrome plating, will never pit or peel. And, the non-magnetic nature of stainless steel provides a significant sonic benefit by eliminating any electromagnetic interaction with the transformers and audio circuitry." After many hours of listening, it only gets better. Coincident is very excited to announce the introduction of the Dynamite loudspeaker. This represents the initial foray for Coincident into the realm of floor standing, full range, high end speakers at a decidedly mid fi price. In keeping with the philosophy that began with the release of the Dynamo 34SE amplifier, the Dynamite loudspeaker offers build quality, design, aesthetics and performance that was previously not possible at this price point. The combination of the Dynamite and the Dynamo yields high end sound at an unbelievably affordable price. The Dynamite is capable of reproducing all types of music, in a manner that will satisfy the demands of the most seasoned listener. Its compact footprint makes it an ideal speaker for those with limited space and yet it is fully adept at filling a spacious listening environment. Due to its high sensitivity and wide power handling capabilities, amplifier choice is a personal one. 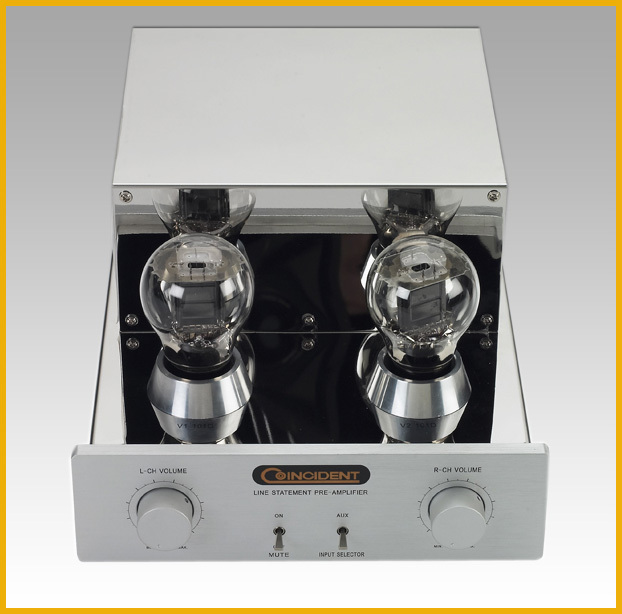 Single ended triode tube amps fully realize their inherent sonic advantage mated to the Dynamite and those with a preference for higher power tube or solid state amps will be equally enamoured by the results. The same design approach and philosophy of enclosure materials, crossovers and driver choice apply to the Dynamite as it does to the vastly more expensive Coincident models. The breakthrough price to performance ratio has become possible due to high volume and efficient production, off shore cabinet construction, direct to consumer pricing and the lowest mark up structure in high end audio. 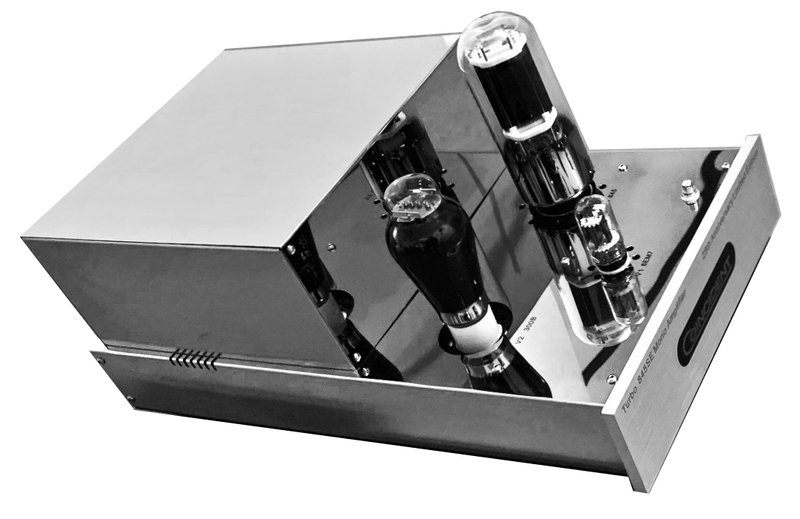 The Dynamo offers an alternative to the traditional 300B-based single-ended-triode amplifier, using, as it does, a triod-connected EL34 pentode.Driving a high-sensitivity, high-impedance loudspeaker (96dB/8-ohm minimum), it is capable of an explosive first watt. Superlative soundstage transparency combined with 3-D image outlines produce a strong sensation of being there. One of the best-sounding 300B SET apms DO has auditioned, Israel Blume's Frankenstein IIs deliver on the promise of SETs: a midrange to die for, wonderful tonal color saturation, and spectacular imaging. In short, a sensational first watt! Its combination of affordability and performance makes for a screaming buy reccomendation with the right speakers. Filtering and energy storage has been increased by a whopping 70%. The sonic improvement is substantial- deeper, more impactful lower frequencies, wider dynamics and the ability to drive a much wider range of speakers without strain. Distortion levels at high SPLs and low frequencies has been reduced by 35%. Furthermore, the large power supply has now been isolated from the sensitive input circuitry resulting in the elimination of electromagnetic interference. 3. Capacitors- Every single capacitor has been doubled in voltage capacity which provides bullet proof reliability and eliminates potential problems in areas afflicted with high AC line voltage that is prone to surging and/ or fluctuation. The overall improvement wrought by the MK. II is highly significant. From virtually eliminating noise so that the Dynamo can successfully be used with ultra high sensitivity speakers and increasing its power capabilities so that it can mate with a wider range of lower sensitivity speakers to unshakeable reliability in any environment to stunning performance enhancements that include deeper, punchier bass, greater transparency and purity overall, more expansive soundstage and greater extension and air in the treble all combine to create an amplifier that while is hard to surpass at $5000, is unmatched at its value laden price of only $1499 US. 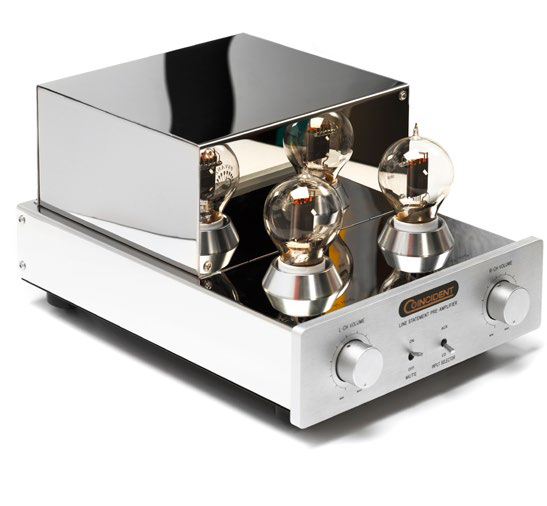 While the original Dynamo 34SE at $1299 US was considered the finest value in all of high end audio, all the huge and costly improvements incorporated in the MK. II with only a $200 increase in price, make the MK. II even more of an audiophile bargain. 'Anything you can do I can do better; I can do anything better than you' wrote Irving Berlin for the 1946 Broadway show Annie Get Your Gun. This is the implicit message of audio designers who launch a 'mark 2' version less than two years after the initial offering, sometimes to the chagrin of the purchasers of the original. 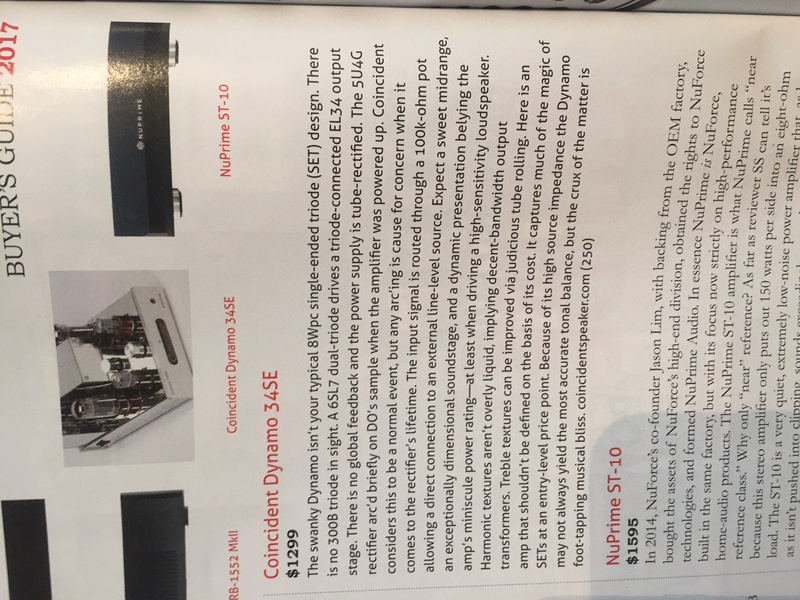 When Israel Blume emailed 6moons to ask if I would be interested to follow up my September 2014 review of his $1'299 Coincident Dynamo 34SE with a comparison to the new $1499 Dynamo MkII, I was surprised. 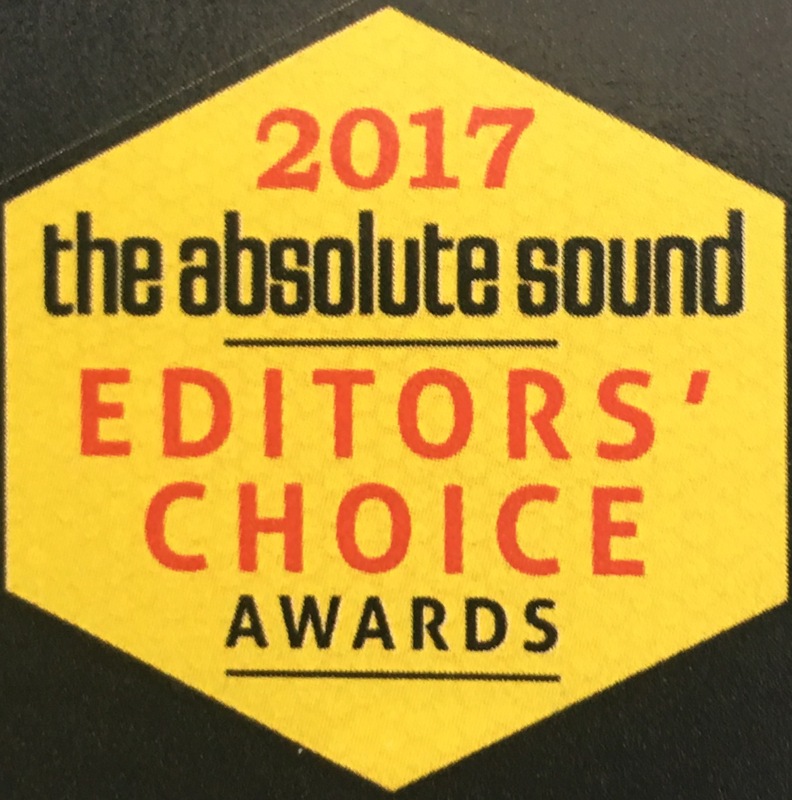 I'd thought the original was a fabulous amplifier punching well above its weight in just about every category. If it ain't broke, don't fix it. Having engaged in an obsessive buying binge of ChiFi push-pull and SEP amps from 2010-2014, I thought that the Dynamo was possibly without peer at its price. Accordingly, I'd bought the amp which since 2014 has acted as the solid anchor of my second system adding weight, warmth and drive to every small bookshelf speaker I paired it with. If the Dynamo had more than one input and remote control, I'd be tempted to sell more expensive gear and use it as my main amplifier with high-efficiency speakers. What could the MkII offer which the original amplifier had not? As it turns out, a great deal. Your additional $200 buy an extra 4.5 kilos or 10 pounds of transformer iron, bigger and better capacitors, a shorter signal path, better grounding and several other upgrades. This 15kg amp is to the single-ended pentode EL34 amp family what the 45kg Mastersound amps are to the single-ended triode 845 genre. With their over-spec'd transformers bulging from their cases, these products surprise with their ability to manhandle complex music. With substantially larger irons, the Dynamo MkII is not simply more of the same. It's like going from the Prologue to the Dialogue series in the Primaluna product range. They are worlds apart. Capacitance goes up 50% for more headroom and deeper bass - not just drier and deeper bass but noticeably more dimensional and on certain recordings, it must be said, a touch of bloat. Sonically this is the only weakness but entirely expected of a SEP amp. Ten extra pounds of iron won't overcome the typology's limitations. But with each passing year it seems that the gap between tube and transistor amps narrows and the MkII is clear proof. With voltage capacity increased by 40% and a shorter signal path, there should be more incisiveness and certainly is. Guitars pierce the air just a little bit more. The MkII seems a bit faster, better able to keep up with techno beats, better able to track dynamic swings with orchestral music and heavily produced rock. I was thoroughly satisfied with the way the Dynamo MkII handled "Dark Side of the Moon". it was noticeably more propulsive than the MkI and rendered the clock bells on "Time" with a touch more depth and body. Micro detail emerged from a quieter background. This amp strove for a different sonic signature. 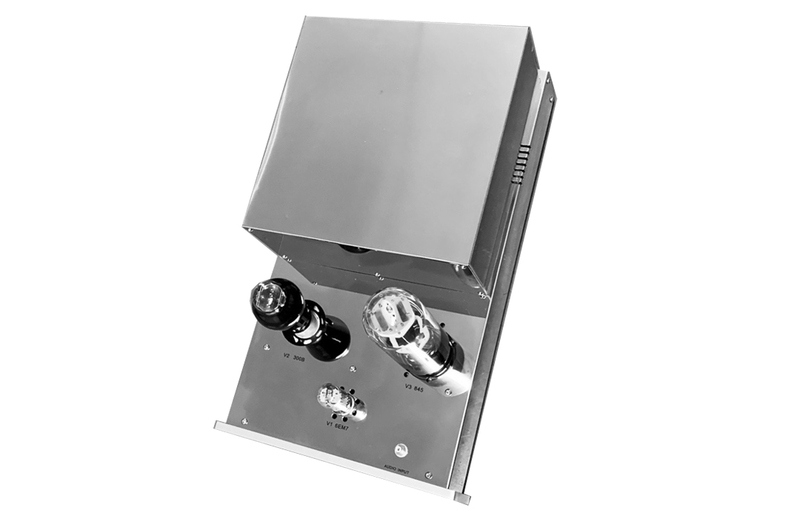 Longstanding Canadian manufacturer Coincident Speaker Technology produces critically-acclaimed amplifiers and loudspeakers. Rick Becker reviewed their Super Victory loudspeaker and felt that following up with their upper line Total Victory IV ($14,999 per pair) would be a simple task. What he was not prepared for was... "The step from the Super Victory to the Total Victory will be necessary if your room is about 6000 cubic feet or larger" says Rick. "I expect when putting a TV IV in a smaller room the extra $5500 will buy you mostly the qualitative improvements (versus the smaller model)... It is not that the three models sound dramatically different from one another in tonal balance. But as you move up the line the audible quality improves and they can play in larger rooms. The common denominators: slightly warm, non-fatiguing, very revealing, transparent, dynamic, totally enjoyable." You can read Rick Becker's review of the Coincident Speaker Technology Total Victory IV speaker here. While any award list has the obvious components you've read about time and again, yet what about those secret sleepers? 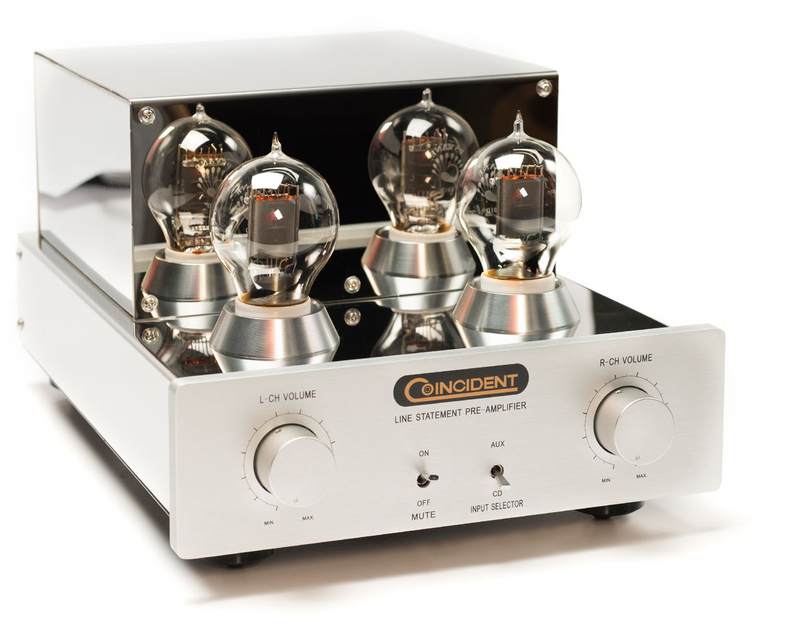 Lovers of vacuum tubes might not have used the truly beautiful 101D. Not sure why as it proves its merits within the Coincident Statement Line Stage ($5000). The two large 101D tubes are about the size and shape of a standard incandescent light bulb and give off a gentle glow. This two-chassis design includes a 40 pound separate power supply to mate with the 30 pound linestage. There are two unbalanced RCA inputs and balanced XLR, with outputs being both RCA and XLR. We're not quite sure how Coincident gives you so much for $500, yet we're surely not complaining either. "When I first heard the Statement Line Stage I knew it was a very special piece," says reviewer Rick Becker, "But it took some playing and tweaking to learn how good it really is. You can't build a world class system with a plug 'n' play mentality. As a replacement for a full function preamp it will force you to re-think your front end, yet it also offers flexibility for bi-amplifying as well as a balanced source and balanced amplifier. 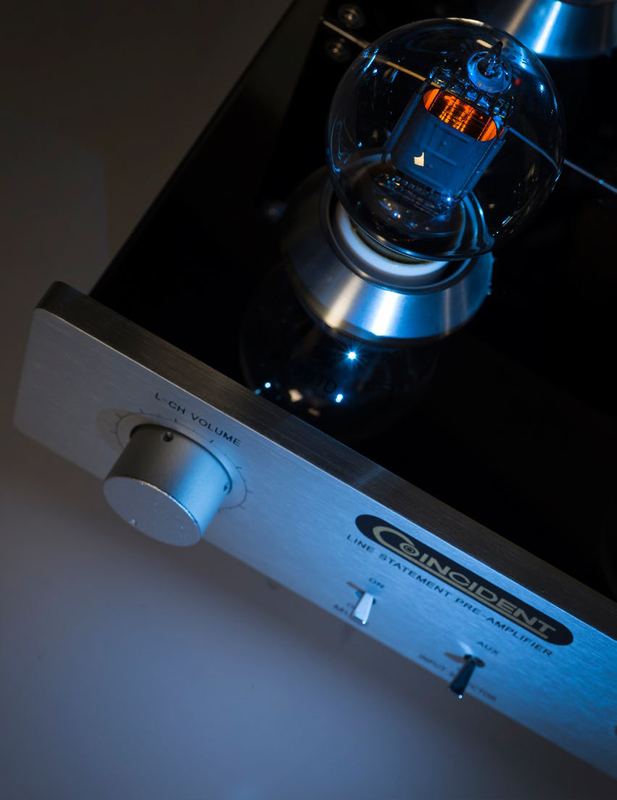 The seldom seen (but not outrageously priced) 101D tube is the crown jewel of this design and it will give you a high degree of exclusivity in audiophile circles. Sonically, the Statement is a thoroughbred with Triple Crown potential, a serious assault on the State of the Art at a price that should recalibrate "value" in the high-end. It may very well be the finest piece ever to have come from the mind of Israel Blume. I expect it will remain my reference for many years to come." Read Rick Becker's review of the Coincident Statement Line Stage here. 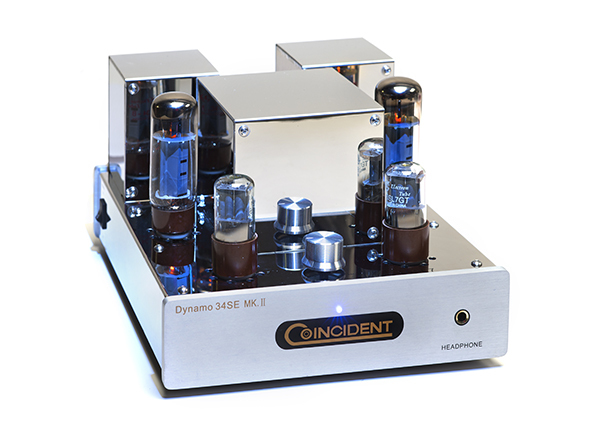 Dynamo 34 SE -The Dynamo offers an alternative to the traditional 300B based single - ended - triode amplifier, using , as it does, a triode - connected EL 34 pentode. Driving a high - sensitivity , high impedance loudspeaker, it is capable of an explosive first watt. Superlative soundstage transparency combined with 3-D image outlines produce a strong sensation of being there. DO, 250. Frankenstein M300B MK. II - One of the best - sounding 300B SET amps, DO has auditioned. Israel Blume's Frankenstein IIs deliver on the promise of SETs: a midrange to die for, wonderful tonal color saturation, and spectacular imaging. In short, a sensational first watt! Its combination of affordability and performance makes for a screaming buy recommendation with the right speakers. DO, 228. Undergraduate and Master’s degrees in science and a Doctor of Laws degree. How do you find the time to design electronics, loudspeakers, and cables? Music and the creation of audio components are my obsession. It literally is a sevendays- per-week preoccupation fueled by the insatiable desire to create the most musically satisfying audio system possible. Being meticulously organized and efficient has proved to be invaluable. Click on the image to view print version. To celebrate Coincident Speaker Technology 20th Anniversary, we are thrilled to announce the Statement Series  A breakthrough in cable technology and performance. The Statement Series' superiority is not predicated on a single novel technique or approach but rather that the design for the Statement Series (and the CST Extreme) is based upon genuinely advanced technology, applied in a "total system" approach, to each specific cable application, always in accordance with CST's basic controlling philosophy that the cable should pass the signal exactly as it receives it, with no addition, subtraction, or perversion. 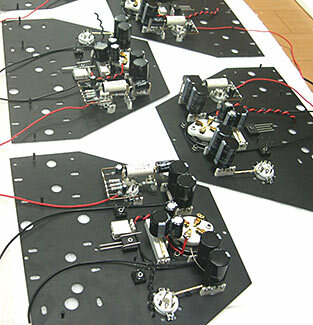 One example of CST's advanced technology is found in its proprietary "WaveLink" winding geometry. Although many other cable manufacturers recognize the effects of ambient electromagnetic fields, and some (but many do not) are cognizant of electromagnetic fields self-generated by internal current flow, Coincident is still one of the few cable manufacturers in the world to recognize and design for the fact that all cables in operation generate both electromagnetic and electrostatic fields within and surrounding them. These internally generated fields (the intensity of the electromagnetic field controlled by current flow, and that of the electrostatic field controlled by voltage) both  individually and by their interaction  affect the signal passing through the cable, and therefore profoundly impact the sound of the entire system. Signals passed in each cable application all have different relative amounts of current flow (amperage) and voltage1, but there is only one optimum relationship for the two fields that result from them. Therefore, every CST cable, in every series from Extreme all the way up to the STATEMENT Series, is specifically designed to produce that one optimum relationship in its own application. CST cables are wound uniquely and look different from each so that all will have the same optimum field relationship, whatever their application. This is CST's exclusive "WaveLink" technology, and it's one of many of the reasons CST cables sound closer to the original signal than its competitors. The STATEMENT Series' incredible detail, focus and ambience retrieval lies in another example of CST's advanced technology: Functionally, cables (of any brand, even CST) have many of the characteristics of capacitors: They store energy in their dielectric (on a cable, that means the insulation) and they release it out of phase, directly into the signal path every time the carried signal changes polarity. This out-of-phase energy results in cancellation of the signal information at very low levels (like the fifth bounce of the music off the walls of the concert hall), and works to reduce detail, blur imaging, and even result in "phantom" signal artifacts ("noise" signals that aren't a part of the recording being played) to further compromise listening enjoyment. 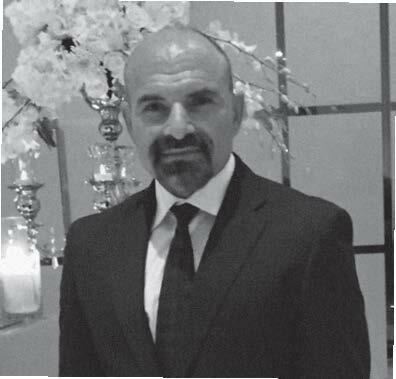 Coincident is one the few cable manufacturers to recognize and successfully address this important issue. Cable Design and Construction  What is Important?  Everything ! Coincident's "total system" approach to cable design is exactly what the term implies: Every aspect of every parameter of each CST design is taken into consideration and optimized, before the design is finalized and put into production. This painstaking process takes years and literally thousands of hours of R & D and aural evaluation. Many cable manufacturers believe that there can be one "magic" solution that will always result in "perfect" cables. This simplistic approach will yield a highly compromised product. While many view cables as bits of wire and plastic, cables are extremely complex in their operation, and each of its component parts greatly affects their performance: The geometry and material used for the conductors (usually either copper or silver in most audio cables) has a clear and obvious effect on the sound of your system. Equally relevant is the thickness (the AWG gauge) of the conductors, their purity, how they were made, and whether they are solid-core or stranded. Dielectric and capacitive discharge effects mean that the choice of insulating material for the primary wires, it's dielectric constant, its "dielectric absorption" or "dissipation factor", its "dump rate", and how thickly it's applied and its air to solid ratio are all crucial in accurately passing the signal the cable is fed. Furthermore, the type and thickness of each of the overall conductor jackets, the filler materials, if any, and the final overjacket on the finished cable all combine to greatly impact on the veracity of the resultant signal. Whether or not the cable is shielded is highly significant as well, because shielding  even shielding done the way CST does it  can affect sound quality and overall system performance. And so can the spacing of the shield, if any, over the cable and the spacing of the conductors within it: The distance between them determines the capacitance and inductance of any pair of conductors, and those factors, plus the resistance of the conductors themselves, are the sole determinants of the cable's characteristic impedance. The ultimate importance of absolutely everything in cable design is perhaps best illustrated by the circularity of its center core. If it is not perfectly round it will significantly affect how closely a coaxial cable will conform to its designed impedance specifications. In designing its cables, Coincident takes every factor into consideration. Falter or neglect any design or construction parameter and the cable will be severely degraded. It is for these reasons that the STATEMENT Series is uniquely superior to virtually all other cables at any price, let alone at its unheard of selling price. Unlike other products that involve compromises that must be made to comply with budgetary considerations, the vagaries of the market, or the realities of manufacturing, the STATEMENT SERIES is designed and manufactured with none of the aforementioned restraints. The STATEMENT Series is different. Absolutely uncompromised in any way, and representing the fullest development of the thoughts and skills of designer Israel Blume, the STATEMENT is, even as compared to CST's justly popular Extreme, a huge step forward. 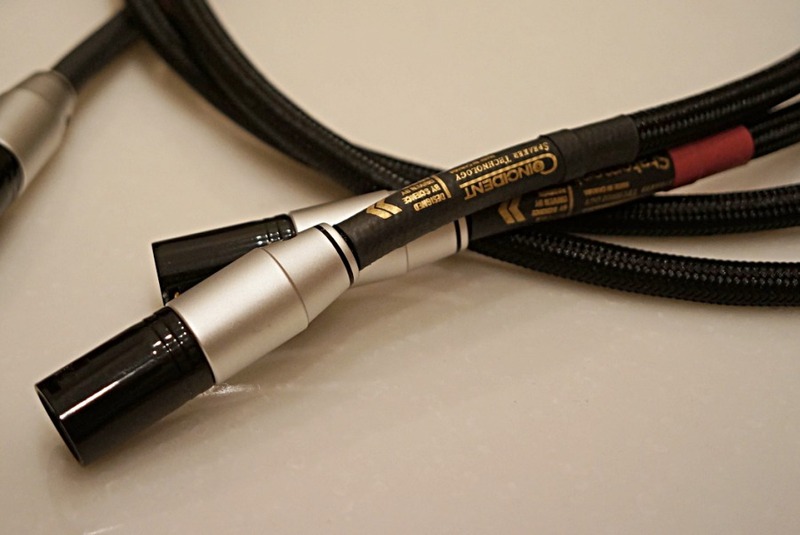 The goal of the STATEMENT SERIES is to produce a line of cables that pass the musical signal with as little coloration as possible and to replicate the accuracy of a direct bypass- in other words, to sound like no cable at all. 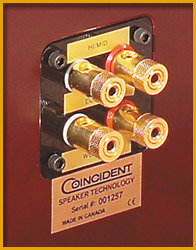 The STATEMENT Series consists of only six products:ST-1, The Single-Ended Interconnect, ST-2, The Balanced Interconnect, ST-4, The Digital Interconnect, (available either balanced or single-ended), ST-5, The Speaker Cable, (along with its companion product the ST-5/JS Jumper Set) andST-10, The Power Cable. All CST STATEMENT Series interconnects and digital cables are made from custom-drawn and specially treated PC-OCC (Pure Copper, Ohno Continuous Cast copper, which is so pure that it actually exceeds the test capabilities of any commercial laboratory. The conductors of this extremely expensive material are individually insulated with thin films of a special PTFE-related fluoropolymer material and then arrayed in CST's own proprietary "WaveLink" geometry between an air- and nitrogen-bearing concentric two element fluoropolymer central core and a single element air-bearing fluoropolymer outer core. The insulation and core structure thus formed has a lower effective dielectric constant than any other kind or combination of commercially available materials. Where necessary for balanced or AES/EBU operation, a special grounding network is incorporated within the central core. All connectors used on STATEMENT Series interconnects and digital cables are made to CST's own high standards. Every connector is non-magnetic, to avoid hysteresis effects, and each is designed for minimum self-inductance. Every part in the signal path of every STATEMENT Series connector is precision manufactured from either ultra-pure copper or from an ASTM-designated copper alloy selected to be best for its particular application. Where gold plating is used, it is applied directly, with no nickel substrate, just thickly enough to prevent connector tarnishing, without affecting sound quality. To ensure minimum self-inductance, steps are taken on every STATEMENT Series connector to remove all conductive materials not absolutely necessary to signal transmission from the signal path. CST STATEMENT Series speaker cables are made from the same specially treated ultra-pure (exceeding U.S. commercial lab test capabilities) "PC-OCC" copper as is used for STATEMENT Series interconnects and digital cables. Multiple small-diameter conductors (23 AWG) of this material are individually insulated with thin films (0.076 mm or less) of a special PTFE-variant fluoropolymer material and implemented in accordance with Coincident"s special "WaveLink" geometry, over air-bearing composite multi-element concentric PTFE-variant core structures to make the cable's four individual conductor "legs". Each of these four legs is then wrapped and extruded with a twin-element PTFE-variant fluoropolymer jacket and the four legs are cabled, either around an air-bearing central core member or a special into a minimum-inductance "quad", and finally given a braided protective mesh outer jacket. STATEMENT Series speaker cables are eight conductors of 16 gauge (AWG) in their normal "shotgun" configuration (2 legs per conductor) or four conductors of 12 AWG when terminated in the optional "bi-wire" mode. Protruding through these caps at either end are the actual hook-up ends of the cable. These are sheathed in multi-element air-dielectric tubes. The actual termination is, in every case, an individually billet-machined cryogenically-treated 24K direct gold-plated copper spade lug (of either 6.0 or 8.5 mm terminal size). Premium Deltron brand bananas are also available. ST-1 Single-Ended Interconnect - Much larger in diameter than would normally be expected from Coincident, this STATEMENT Series cable features unique jacketing braided from dense wear-resistant polyester. This results in truly remarkable dielectric characteristics and an understated, elegant "stealth-like" appearance and texture reminiscent of carbon fiber. Fully symmetrical windings and special geometry make this shielded single-ended cable unusually resistant to EMI and RFI. Price: $595 US/ 1M pr. $175 US each additional .5 meter pr. ST-2 Balanced Interconnect - Similar in construction and jacketing to the Single-Ended Interconnect, this 3-conductor, "true balanced" shielded cable relies upon the Common Mode Rejection inherent to balanced ("differential mode") operation to provide outstanding sonics. Special STATEMENT Series XLR connectors are custom machined and precision die-cast, with pins (male) and pin receptacles (female) of billet-cut Tellurium copper or patented Brush-Wellman Alloy 174 beryllium copper as standard. Price: $695 US/ 1M pr. $195 US each additional .5 meter pr. ST-4 Digital Interconnect - Designed for instantaneous rise-time, broad bandwidth, and the lowest available cable-induced jitter of any product currently available, this STATEMENT Series cable has been adopted as an absolute reference standard by manufacturers of some of the most technically advanced digital equipment in the world and is the cable of choice for many of the world's most critical and demanding audio reviewers. ST-4 cables are available either unbalanced, with RCA or BNC connectors, or in balanced configuration with XLR connectors, for AES/EBU applications. ST-5 Speaker Cable - Six AWG multi-core construction ready for either "shotgun" or "internal bi-wire" application; billet-cut direct gold-plated cryogenically-treated copper fittings, make this the speaker cable of choice for systems that really do strive to duplicate the reality of the musical experience. Price: $1995 US/ 6 ft pr. $ 295 US each additional ft pr. ST-5/JS- (Jumpers)  Are an alternative to using biwire speaker cable. The jumpers are made from the same conductors and dielectric materials as the ST-5 speaker cables and exactly replicate their performance. Price: $795 US/ 8" set of 4. ST-10 AC Power Cable (Previously Called the Extreme II) - This is the ultimate premium version of the spectacular new power cord that's getting rave reviews from audiophiles and reviewers everywhere. Sharing an entirely new approach to power transmission technology with CST's Extreme AC cable, it's an 10+ equivalent gauge (AWG), multi-conductor, PEX dielectric masterpiece that will clearly and obviously outperform almost any other AC power cable several times its price. Amazing high frequency detail, sweetness and extension, coupled with greater image width, depth and focus, plus utterly astounding bass "weight", power and "slam" make this new power cable a required addition to any High-End system seriously intended to challenge the state of the art. Due to unique geometry and special double shielding, AC noise levels and RFI are dramatically reduced. Furthermore, the absence of any current limiting makes this cable especially excellent mated to high power amplifiers. ST-10 AC power cables are jacketed in special densely - woven braid. Each power cable is fitted with premium Hospital-Grade U.S.-style NEMA 3-prong plugs and 15A IEC connectors. European-style Schuko or 20 Amp connectors are also available at nominal additional cost. Price: $595 US/ 6 ft.
$ 70 US each additional ft.
1 The signal passed by phono cables is tiny fractions (thousandths or fractional thousandths) of an Ampere of current at equally tiny fractions of a Volt. The signal carried by an unbalanced interconnect in a high impedance circuit is just millionths of an Amp at as much as 10 Volts; that of a balanced interconnect or digital cable in a matched-impedance circuit is milliamps (thousandths of an Amp) at, again, as much as 10 Volts; and that of a speaker cable may be as much as 50 or 60 Amps of current at as little (typically) as just a few thousandths of a Volt. 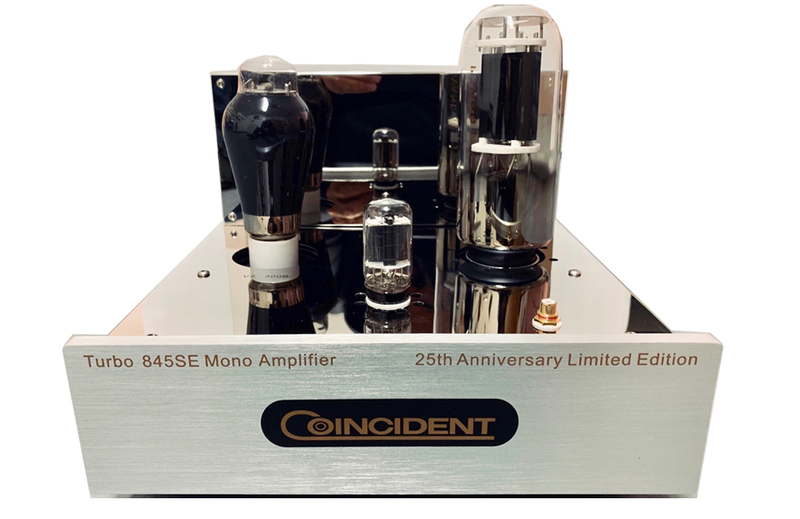 Coincident began designing and building amplifiers in 2001 with the introduction of the MP 300B SET mono blocks and the MIP 300B integrated version of the MP 300B. Both were highly acclaimed and offered build quality and performance unmatched by any other. An intense R & D program and countless hours of aural evaluation lead to the company's breakthrough M300B Frankenstein amplifiers in 2005. The design goal of the Frankensteins was to manufacture the finest amplifier in the world which meant it had to be a single ended 300B design. The fact that most commercially available loudspeakers were not able to be driven by the purest, low powered amplifiers was of no concern since all Coincident models were ideally suited to this mode of amplification and some other well designed speakers were as well. The Frankensteins were designed and manufactured with no cost restraints. The goal was simple -- it had to be the purest, most transparent, neutral amplifying device in existence. While the goal was simple, the realization of it was not. It took Blume over three years of intense research and development, numerous prototypes and literally thousands of hours of auditioning before the dream was achieved. The M300B Frankenstein amplifiers may sell for a relatively modest price but there is no competing amplifier that is better constructed or compares sonically at any price. 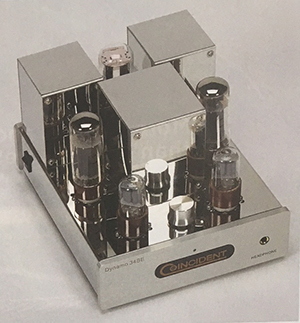 While Blume freely acknowledge that the Frankenstein amplification offered the company's purest sonic reproduction available, Coincident felt there was a need for a high power amplifier that was capable of driving any speaker no matter how difficult a load. However, not only must this amplifier be so capable it had to come as close to the sonic purity of our reference Frankensteins as possible. The result is the Dragons. They are constructed exactly as the Frankensteins using the same components, circuit philosophy and state-of-the-art construction but instead of being single ended triode it uses a pair of high powered 211 DHT tubes operating in push-pull mode. To approach the sound of the Frankensteins yet offer "unlimited drive ability", the Dragons had to use DHT output tubes in push-pull. The driver tube had to be DHT as well and none better than the 300B. The end result is claimed to be an amplifier that sounds like a 500 watt brute yet with 95% of the Frankenstein's finesse. All internal wiring is manufactured in Canada using American 6N copper. Only the finest Canadian dielectrics like polypropylene and air Teflon are used. Coincident Speaker Technology's wire is very expensive to manufacture and labor intensive to terminate. There is no use of off shore cables that Blume feels are sonically inferior and costs only a few pennies. 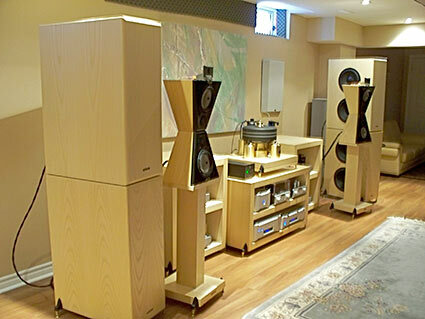 The Coincident Pure Reference Extreme (CPRE) may be the most accurate and true-to-life loudspeaker on the market today. It's actually the opposite of the MBL. It does not recreate a concert, it does not beautify recordings; and it looks relatively ordinary. Considering all the MBL does right, the Coincident does the same things more realistically and correctly. It is a thinking man's loudspeaker that speaks the truth whether or not you want to hear it. When I say more realistically, I mean that literally. The imaging is the best in the business. It's exactly what the microphone(s) picked up and it replicates what the recording engineer intended you to hear. Let me be clear: The Coincident allows you, for the first time, to experience that actual craft of the engineer. Countless examples of crappy, thin, or compressed recordings are deconstructed by the Coincident and reassembled in a more realistic fashion. It's as if other speakers smear the sound. And it's all presented, phase perfectly, in a broad array across your room-an immersive Holodeck of sound. The CPRE is a three-way design that functions more like a two-way with a subwoofer. Its super-fast ceramic Accuton mid- and high-frequency drivers cover the ground from 100Hz to 27kHz. The woofers are tonally correct with perfect pitch and definition. If you are accustomed to midbass (chesty) exaggerations, you'll have to rewire your thinking. Once you do, you'll never go back. The crossover is simple and first-order. The sensitivity is 94dB, and the load is tube-amplifier-friendly. $10999 US /pr. includes freight. $ 9999 US/pr. when purchased with any Coincident speaker. My Reference in Absentia. Listening to my familiar music on CDs and your LPs had a profound impact I will be processing the experience for quite some time, I expect. Quite simply- it was incredible. The Coincident Statement is now the finest MC step-up I've ever heard, of any type. The discovery of a new reference component is always a cause for a "celebration", though, in this case, it will have to be tempered. This is because the Coincident's degree of superiority over the former reference, the Bent Audio Silver, is quite subtle. In fact, to even initially hear the differences took numerous A/B/A/B comparisons (after basic A/B comparisons failed for me). 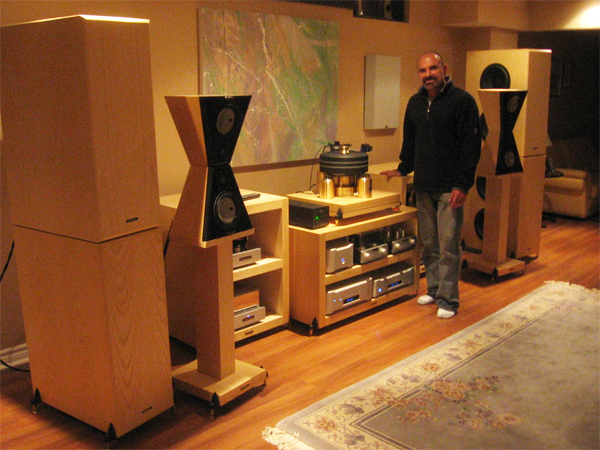 The "Extreme" is simply the "Original" Pure Reference, with the exact same drivers and crossovers, but in two separate cabinets (a mini-monitor and a subwoofer), instead of one large floorstander. With the monitor sitting directly on top of the subwoofer (at the front), the Extreme is around 12" shorter, though its subwoofer takes up around 50% more floor space, because it is 4" wider. The price for the Extreme is $ 26,000, compared to $ 22,000 for the Original. Passive Preamp- In essence is merely a volume control designed to attenuate the signal going from the source (usually a CD player) to the amplifier. Since it is passive, it has no inherent gain because it has no active components (tubes or transistors) in the signal path. The quality (sonic purity) will be largely dependant on the volume potentiometer used. The finest discrete resistor pots will sound more accurate than a variable one, for example, since the signal travels through only one resistor at any given setting and is therefore not dependant on volume position as is the case with a variable pot. Many believe that transformer volume controls can be superior to even the best discrete resistor pots, since the TVC is inherently passive while the latter still requires the audio signal to traverse a resistor. The TVC is more costly to properly implement since the best transformers are very expensive. Type, length and quality of the internal wire will also affect the sound as will the connectors being used. The inclusion of a selector switch will compromise the ultimate transparency of the sound to a greater or lesser degree compared to a passive eschewing this switch. Active Preamp- Not only controls the volume of the source component but since it uses active devices (tubes or transistors) in the signal path it has gain. The active preamp inherently has many components in the signal path compared to a passive. It uses all the components of the passive with the addition of a power supply, capacitors, resistors, gain devices, and means by which all these parts are connected. Logic would seem to dictate that the active preamp must adulterate the signal to a far greater degree than the passive by virtue of all those additional components.Further, since the active has the additional disadvantage of requiring a power source, tubes or transistors it must not only impose far greater noise, it is also more costly and inconvenient to use. Why would anyone want to use the active in a system? Theoretically, it would seem nonsensical to use anything but a passive preamp. Passive Preamp - While it is inherently simpler in design with no active components in the signal path, it is highly susceptible to component interaction. The affects of the IC cable (impedance, capacitance and resistance), the source resistance which is the combination of the potentiometer and the actual source and the input impedance of the amplifier are all critically important in potentially altering the audio signal from source to the ultimate sound being heard. The length of the cables between the source and passive and then to the amplifier must be strictly attended to. Too long a cable and roll offs at both frequency extremes will occur. Impedances between the volume control and the imput impedance of the amplifier must be compatible in order to avoid sonic degradation. Furthermore, since a passive has no gain, the output voltage of the source component must be sufficient and the amplifier and the speakers need to be of high sensitivity or not enough ultimate volume can be achieved. The purest, simplest but admittedly most inconvenient method of passive attenuation is to have discrete resistor pots installed at the amplifier input. This method avoids the extra cable interaction and achieves the desired amplifier input impedance. 4. Amplifier's input sensitivity should be high (minimum of .75v for full output). 5. Speakers should be high sensitivity (minimum of 90db). 6. A highly rigid chassis that is not prone to resonances. The inherent practical advantages of an active over a passive is that due to output buffering, interaction between the source, connecting cables and amplifier input impedance ceases to be an issue. Further, due to added gain, much greater flexibility in system assembly is possible. The other huge advantage presented by an active line stage is that it amplifies the source signal to a higher level, unlike a passive design which has no gain, so that the power amplifier is able to more accurately pass this signal to the speakers. 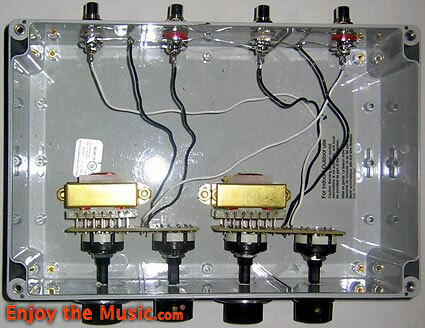 This is similar to what occurs when inserting a moving coil transformer or head amp into a low gain phono stage. The low level cartridge signal becomes amplified so that the phono preamp can transmit this incoming signal more accurately to the amplifier. While the system now has an extra component in the signal path which would intuitively create the impression that purity would be compromised, the opposite results- greater fidelity is achieved. Not only is the sound more dynamic, harmonically more complete with superior rendering of the frequency extremes, there is a noticeable enhancement in detail retrieval. Coincident has up to the advent of our Statement Line Stage recommended the use of the best passives when all the system conditions were optimized. The sonic compromise inherent with all previously auditioned active units in terms of imposed colorations were too obtrusive to ignore, despite their other advantages. All the requirements mentioned above to create the superior active preamp have been met. 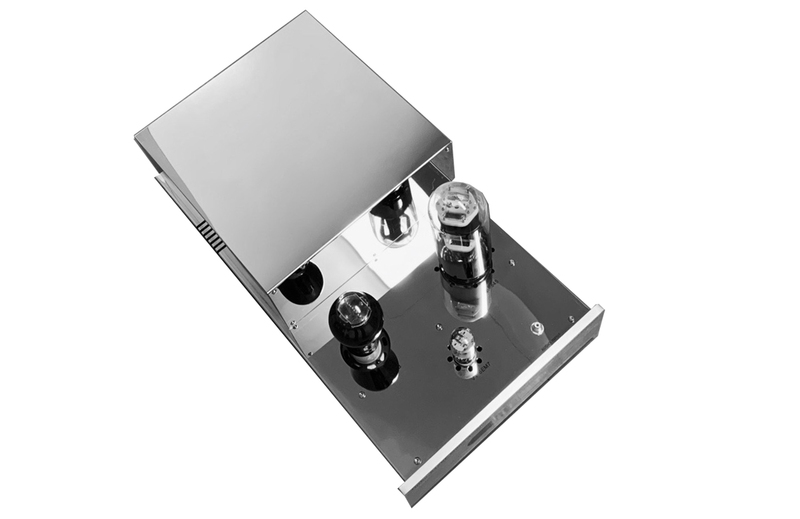 The end result is an active line stage that is virtually as pure and transparent as not only the best passives but as accurate as going directly from the source component to the amplifier using the finest 1m interconnect. The sonic leap in dynamics, weight, impact and punch as well as full extension at both frequency extremes is dramatic. As of April 15/ 2012, Frankenstein and Dragon amplifiers will be supplied with Shuguang Psvane clear bottle 300B tubes as standard. The finest 300B available is the Shuguang Treasure Black Bottle. Not only are the sonics the best we have heard, we have not experienced a single failure in the field. We have not heard a superior sounding tube, nor one that is more reliable. Coincident supplies matched and tested pairs. We are hesitant to recommend any of the mesh plate 300Bs since they tend to be prone to microphonics due to the inherent resonant nature of their internal structure. We also have stopped recommending KR 300Bs, despite their superb sound, due to their poor reliability and the manufacturer's reluctance to honor their warranty. If anyone has any questions or comments about 300B tubes in the Frankenstein amplifiers, feel free to contact us. 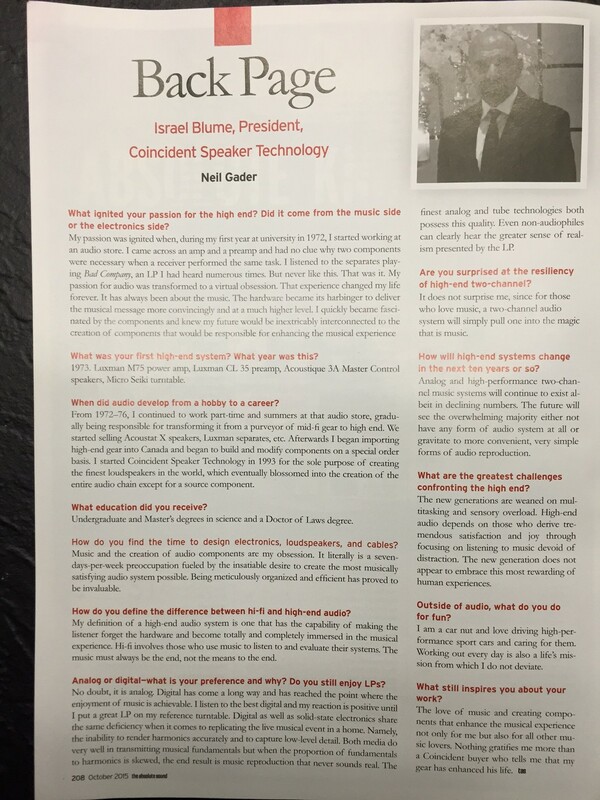 Coincident Speaker Technology is proud to still state that unlike the majority of current speaker companies (i.e. Revel, Aerial, Von Schweikert, Red Rose etc.) all its speaker models are designed and completely manufactured in Canada. All the crossovers are meticulously hand soldered in Canada, matched to within 1% tolerances using the finest Canadian and American components. Coincident does not use poor quality Asian sourced crossovers that are pre built and cost a couple of dollars. The price of one capacitor used in a Coincident speaker crossover exceeds the cost of these entire crossovers that are finding there way into very expensive competing speakers. All internal wiring is manufactured in Canada using American 6N copper. Only the finest Canadian dielectrics like polypropylene and air Teflon are used. Our wire sounds the best and is very expensive to manufacture and labor intensive to terminate. Other high end speaker companies use off shore cable that is sonically inferior and costs pennies. 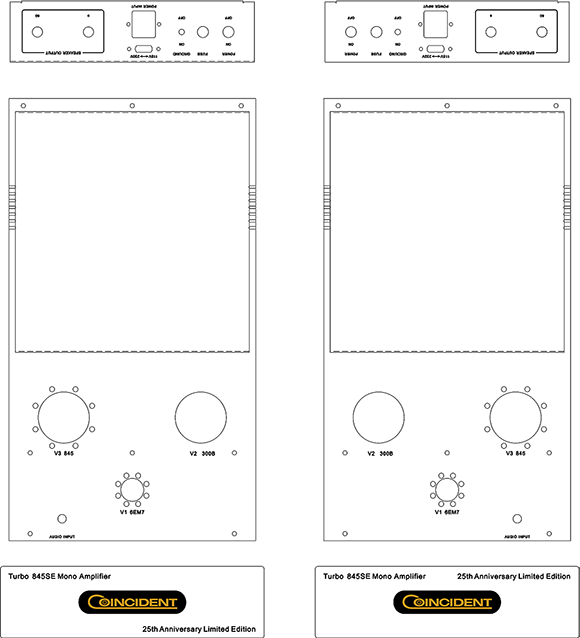 All Coincident speaker enclosures are meticulously CNC and hand crafted at our facilities in Canada. Only the highest quality Canadian made hardwood MDF using furniture grade cherry wood veneer which is pressure applied on both sides of the board is utilized. Having our enclosures made in China, as most other speaker manufacturers, would save 80%-90% of the cost. However, we would not even think of doing this since the quality of workmanship simply does not compare. Inspect a Coincident enclosure with those made in China and the difference is painfully obvious. Coincident will never sacrifice quality for profits. All the drivers of Coincident speakers are sourced from only state of the art manufacturers such as Scanspeak, Vifa and SEAS. Coincident does not use any Chinese manufactured drive units that are knock offs of the above noted brands. Many high end speaker companies no longer use the expensive, best sounding drive units made by these European companies, instead opting to use inferior sounding and incredibly cheap (costing as little as a couple of dollars) Chinese units that are almost visually identical. The consumer is fooled into believing he is buying an expensive speaker using Scanspeak drivers when in reality the drivers are very cheap poor quality units that only physically resemble those drivers. Coincident Speaker Technology is committed to providing the high end audiophile the finest value loudspeakers in the world. Coincident, therefore, will NEVER sacrifice quality. No detail is considered too trivial if it enhances the sonics or build quality of our speakers. Coincident will never offer an inferior product in pursuit of greater profits. Therefore, none of our speakers will be made in China nor will any of our models use inferior components because they are inexpensive to purchase and will increase our profit margins at the expense of quality. Coincident speakers exist for only one purpose: to provide the discerning music lover with the finest sounding, best built loudspeakers available anywhere near their selling price. We are often asked, "What do Coincident Speakers sound like ?" Our answer, "we try our hardest to make them sound like nothing". The theoretically perfect audio component would sound like nothing. It would simply transmit the signal it is being fed with no alteration, enhancement, subtraction or distortion. Our goal with all Coincident models is for them to pass as much musical information with the least possible coloration. Coincident speakers do not editorialize or attempt to glamorize the sound. For example, there is no intentional boosting of the midbass to provide the illusion of more bass, nor the rolling off of the high frequencies to make the resultant sonics more pleasing. 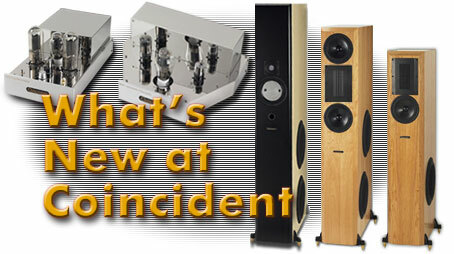 Coincident Speakers are designed to be as musically accurate as possible. We attempt to create on open window on the musical event, with nothing interfering between the music and the listener. Consequently, Coincident Speakers are very revealing of the musical source, the room in which they are placed and the ancillary components used. It must be emphasized that high resolution DOES NOT connote low musicality. On the contrary, the better a component is at revealing the information it is sent, the more accurate and by definition, the more natural it will be since it will closer approximate the live music listening experience. Those seeking to replicate the thrilling experience of listening to live music will greatly appreciate the "Coincident Sound". Our reference standard is live music and our goal is to get as close to the sound of real instruments playing in a real space, as present technology will permit. Biwiring is when a loudspeaker has separate connections to the bass and the treble/midrange. The idea is to use individual speaker cables to each section. Besides being profitable to cable manufacturers, since the user is required to purchase double the amount of speaker wire, are there any sonic benefits to this arrangement? The answer is yes and no. 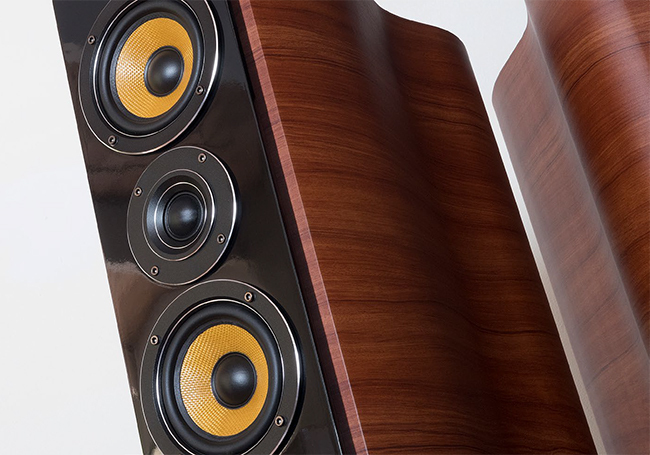 Yes it is a benefit for loudspeakers that are not properly designed. In speakers where the crossover sections are interdependant and not adequately isolated from one another, biwiring will likely offer a sonic benefit. However, in speakers, (like all Coincident models), that have all the crossover sections, (high pass, low pass etc), completely separated and isolated from one another and are run to the binding posts, (as opposed to being interconnected between sections and wiring all the hots and grounds to the speaker's binding posts), biwiring affords NO sonic advantage and may actually involve a sonic degradation depending upon the speaker cable used. Coincident recommends biwiring only in those cases where a consumer has the intention of biamping his speakers. A biwiring option will be necessary if one is biamping a system, meaning separate amplifiers will be powering different drivers. Otherwise, biwiring is not only totally unnecessary and a waste of money, but a pain in the derriere. Unlike the majority of other speaker companies that place their woofers on the front of their speakers, Coincident mounts their woofers on the side of the enclosures in a mirror imaged configuration.This is done because there are 3 distinct advantages with NO downside. Since the largest drivers,(the woofers), are mounted on the side of the enclosure, the front baffle can be made as narrow as the smaller midrange drivers, thereby eliminating diffraction effects, (which are responsible for impairing image width and creating high frequency smearing). Because the side firing woofers are mirror imaged, there are two positions to avoid room standing waves - woofers aiming to the inside or to the outside. In a room devoid of standing waves, (a very rare phenomenon), there would be absolutely no sonic difference whether the woofers were firing inside or outside, (so long as there is sufficient distance to the side wall in the case of outside firing). This is so because the crossover frequency to the woofers is so low, (typically 125 hz), where the wavelengths are very long, (in the range of 9 ft). This means that the woofers can be placed a distance as much as 9 ft away from the midrange units and still achieve seamless driver integration. The Stereophile Show 2001 provides a dramatic real world illustration of the benefits of mirror imaged side firing woofers. The demonstration rooms were plagued with a standing wave centered at 100 hz ( elevated in amplitude by 12db!). This was the case when the Total Eclipse woofers were firing to the outside and as other exhibitors experienced, when the woofers were front facing . However, when the woofers aimed to fire to the inside, the room standing wave was avoided and flat frequency response to below 30 hz was achieved. Since high frequencies are directional, (low frequencies are not), aiming the woofers to the side of the listening position causes out of band high frequency information to be attenuated, thereby simulating an acoustical high pass filter. Therefore, the electrical first order crossover (chosen for reasons of purity and phase coherency- attenuates out of band frequencies at a rate of 6db per octave), of Coincident speakers act more like an acoustical third order slope (with its advantages of steeper attenuation- 18db per octave- of unwanted out of band high frequencies), but with no sonic penalty since no additional electrical components are added to the signal path. Amplifier Power - How Much Is Enough? 1. Speakers being used- Sensitivity and the impedance curve being critical. 2. Personal preferences of the listener- Type of music listened to and at what output levels. 3. Size of room - To fill a larger room will take proportionally greater amplifier power. Acoustical output is dependant upon the power of the amplifier used and the efficiency with which the speaker being driven can transform the electrical signal into sound.The term "sensitivity" is a speaker measurement that reveals how much sound (in decibels) is produced at a specified distance, (usually 1 meter), from the speaker when it is fed a specified input signal, (usually 2.83 volts which is equivalent to 1 watt into 8 ohms). Therefore, a more sensitive speaker that has a flat, benign impedance curve (of 8 ohms or more), will produce greater acoustical output with the same specified amplifier power than a less sensitive speaker or an equally sensitive speaker that has a reactive, low impedance modulus. For example, a speaker that is 3 db more sensitive than another will require only half the amplifier power to generate the same sound output. If a speaker has a sensitivity rating of 85 db @1 watt - 1 meter, to achieve an output of 88 db would require double the amplifier power or 2 watts.91 db output would take 4 watts. For 100 db output of sound, would require 32 watts of power. And if this speaker was rated at 4 ohms, a 64 watt amplifier would be needed to produce 100 db. By contrast, a 94 db sensitive speaker would require only 4 watts to achieve a 100 db output level. Since most listening in the home environment is undertaken at 85 db or less, it can be clearly seen that only a fraction of a single watt of amplifier power is all that is required for the vast majority of listening. A 100 db output, which is loud, still needs only 4 watts of power to attain. However, it must be emphasized that while listening at an average level of 100 db, during musical passages that are very dynamic with lots of low bass content, many hundreds of watts may be necessary, (albeit for only the duration of a millesecond), to avoid amplifier clipping. The above example clearly demonstrates how significant the sensitivity and impedance curve of the loudspeaker is upon determining how much amplifier power is necessary. As the above example illustrated, higher listening levels requires greater amplifier power. Therefore, the output levels the listener chooses to listen at, will be critical in determining the amount of power that will be satisfying. The listener who is content at levels of 80 db will need a fraction of a watt while someone who likes to listen at 105 db will be using almost 260 times more power! Of equal importance is the type of music enjoyed. Full orchestral music, for example, is very demanding on amplifier power in order to reproduce the exceptionally high levels of dynamics coupled with very low bass content (which uses enormous amounts of power). Conversely, chamber music, light folk etc. is usually listened to at lower SPLs and its musical content requires far less amplifier power to accurately reproduce. Furthermore, some listeners prefer a punchier, gutsier sound presentation than others whose priorities lie more in the area of detail retrieval, imaging etc. For some, visceral impact is mandatory or at least may represent much more of a priority than it is to others. These personal predilections must be factored into the equation of how much power is sufficient. All things being equal, the larger the room, the more amplifier power required to fill it. The sensitivity rating of a speaker is the measurement of acoustical output at a distance of 1 meter. The further away the listener is from the speaker, the lower the sensitivity. Therefore, a speaker producing 94 db from 1 watt of amplifier power at a distance of 1 meter will produce less sound pressure when the listener is 2 meters away. For a speaker to energize a room of 1000 cubic feet, for example will require significantly less amplifier power than to do the same in a 2000 cubic foot space. As a real world example, at the recent 2001 CES, Coincident demonstrated in a hotel suite of 1872 cubic feet using a 24 watt amplifier. To achieve similiar sound pressure levels and bass impact in another space of 7200 cubic feet, required 3x the amplifier power.With the same 24 watt amplifier in the much larger room, the sound was not as weighty, impactful or as dynamic as it was in the aforementioned smaller environment. With easy to drive speakers, like Coincident, many are afforded the opportunity of using low powered amplifiers like SETs with completely satisfying results. For those in a compact room, who listen at moderate levels to jazz , light rock, folk etc, then the inherent superiority of the best SETs will be appreciated. That is not to suggest that SETs are for everyone.They are decidely not. If your musical tastes are focused on big orchestral music, heavy rock, etc., and you listen at high spls in a large listening space, then small tube amplifiers may not be your sonic cup of tea. It would be recommended that a more robust amplifier be used. With transistor amplifiers ,the amp's output impedance is never matched to the load it drives.The lower the load impedance ,the closer it comes to a true impedance match , because the output impedance of a solid state amp is very low - typically a fraction of an ohm.This helps explain why (all things being equal- and the amplifier has sufficient current capability)4 ohm speakers produce greater acoustical output than 8 ohm speakers.The lower impedance speaker offers less resistance to current from the amp.The transistor amp sees less resistance into 4 ohms , therefore its output stage delivers more current. ( thousands of ohms.) Therefore ,even a tube output transformer ( which becomes necessary to lower the plate impedance so that a typical speaker can be driven) with a primary impedance of 3K - 8K ohms will not closely approach this match. Therefore, it can be seen that the operation of tube versus solid state outputs is reversed. In the case of transistors, impedances cannot be matched due to the ultra low output impedance of the amp ,while with tubes, the match cannot be achieved because of the very high output impedances. The output transformer in a tube amp lowers its impedance to a level where speakers can be made to operate and extract power from the driving amplifier. The output transformer is designed with a given ratio between the number of turns of wire in the primary and a nominal secondary impedance. For example, if we connect an 8 ohm loudspeaker to an amplifier with a primary impedance of say, 5,000 ohms and a transformer tap of 8 ohms, the primary impedance remains at 5,000 ohms and the amplifier delivers a given amount of electrical power. But ,if a 4 ohm speaker is connected to this amplifier, the output volume will diminish because the 4 ohm load causes a reduction of the primary winding impedance. This reduction means the amp's output transformer presents a poorer match to the plates of the tube output stage than it previously did. On the other hand, if a 14 ohm loudspeaker is connected to the same 8 ohm tap, the primary winding's impedance is increased. The transformer represents only a ratio of turns and its impedance is determined by the load connected to it. Because the transformer's impedance has increased, it comes closer to matching that of the plate circuit. The result is greater output volume from the speaker. 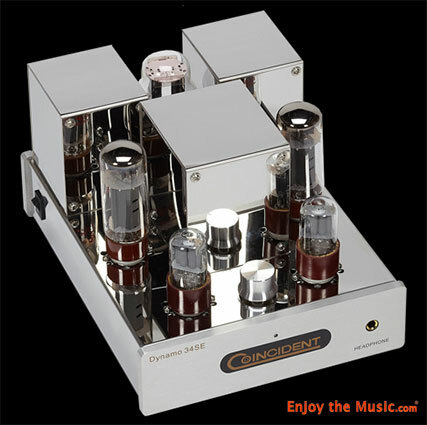 In conclusion, a tube amplifier will produce more output ( greater voltage delivery) into higher impedance loads. Therefore , a 14 ohm speaker will be much more efficiently driven by a tube amplifier than will a 8 or 4 ohm speaker. This becomes of critical importance when using OTL or single ended triode tube amplifiers when available output power is low and amplifier output impedance is very high. Biwire Terminals- (available on all Coincident models) Not recommended (unless one intends to biamp) since it involves no sonic benefit. Will be available for those who insist. I would like to address some technical points applicable to speaker cables in general and how they apply to the Coincident CST1 and TRS speaker cables in particular. It is commonly mentioned that capacitance is an important factor in speaker cable performance. This is incorrect. A speaker cable's capacitance is in parallel across the power amp output, not in series with the signal. The musical signal does not go through the cable's capacitance to go back and forth between amp and speaker. Therefore, speaker cable capacitance has very little deleterious consequences upon the accurate transmision of music along the length of the cable. On the other hand, resistance, and even more significantly, inductance, both have very profound affects on the musical signal. The resistance of a cable is determined by its cross sectional area and by the material of the conductor. The larger the gauge, generally the lower the resistance. Low resistance cables have a low propensity to effect frequency response deviations with a given loudspeaker while high resistance cables have a higher propensity to do the same. The sonic affect of the cable will be dependant upon the impedance characteristics of the loudspeaker. A high, flat impedance speaker will cause little or no frequency response deviations (even with a high resistance cable), but with a loudspeaker that has impedance dips, a high resistance cable will superimpose more of a frequency response deviation. Self inductance is determined by the physical intimacy of the 2 conductors of opposite polarity (hot & ground). The more intimately intertwined the conductors ,generally speaking ,the lower the inductance.Without getting too involved,it is safe to state,that the lower the inductance, the more extended the high frequencies.The higher the inductance ,the more rapidily will the high frequencies begin to roll off. Both resistance and inductance,unlike capacitance,are critical to accurate reproduction, because they are in series with the amp and the speakers. The music must pass through the cable's resistance and self inductance. It is precisely for the above noted reasons that the Coincident CST1 and the Total Reference Series speaker cables ,have been designed to be low resistance and ultra low inductance and only medium capacitance.The proof of any design ,is the sonic results with a very wide range of available associated components.Our experience and those of many hundreds of Coincident cable owners would appear to substantiate that Coincident cables sound superb with virtually all components. Cable capacitance may be relevant in cases where circuit impedance is high.It is therefore not recommended to have high cable capacitance on the output circuit of a preamp with a source impedance of a 500 ohms or higher.The output circuit impedance of a power amp is however,very low, usually in the range of .1 to .5 ohms which is far too low to be affected by the shunt capacitance of even the highest capacitance speaker cables. The only possible exception where high speaker cable capacitance could be audible would be the case of a high output impedance preamp being mated to a very high output impedance amplifier like a Sonic Frontiers, (somewhere in the range of 6 - 10 ohms), connected to a low impedance loudspeaker.